Wedding rings are the bands that you and your partner will present to each other during your marriage ceremony. These bands represent the confirmation of your commitment to each other and the love you both share. There are a range of details to consider when buying your wedding bands. 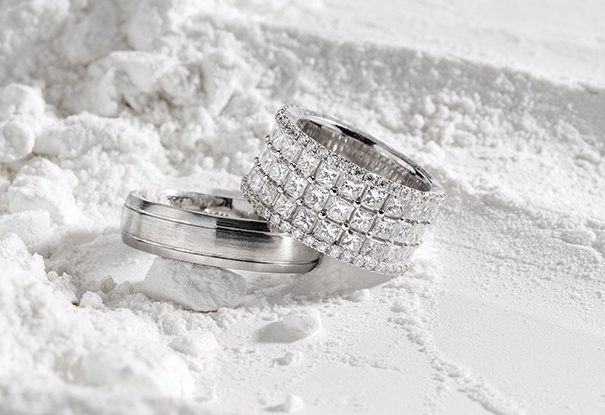 While traditional wedding bands have been of a more plain design than engagement rings, this is no longer strictly the case and we see more clients placing an increased emphasis on their wedding bands.